I provide empowering motivational speaking, workshops, and seminars to elevate, and educate leaders or up-and-coming leaders on how to obtain and sustaine lite- long success!! Excellent personal experience with observing these services. Evangelist Chante Smith-Kelly has many unique academic skills as I watched her do a seminar for a GED program and a refresher course for women in a rehabilitation program. The women were excited with the results they received and very happy. She has a love too for being a prominent, and professional motivational speaker for many organizations. Thank from the depths of my heart for this awesome sauce true from the heart review Lisa Ford!! I had the pleasure of sitting front seat as she spoke, and I wasn't sitting long. I stood up several times...that is how excited I became listening to her "teach" me, about me. I was simply amazed at how she interacted with the audience, and also even more so, on how she captured their/our attention. She is funny, animated, sincere, knowledgeable, compassionate, and encouraging. I am sure she will be called again for future events. Thank you De'bora for that heart-felt TRUTH!! I love you too life!! When a client hires me they can expect a powerful, dynamic, engaging, and most of all effective speaker! My audience should expect to be uplifted, empowered, and given life-changing information, and affirmations that can put them on the road to a longevity of lifelong success! At a very young age I was showcased at all types of events ranging from spiritual, educational, entertainment etc. to speak, empower, amuse, and motivate! 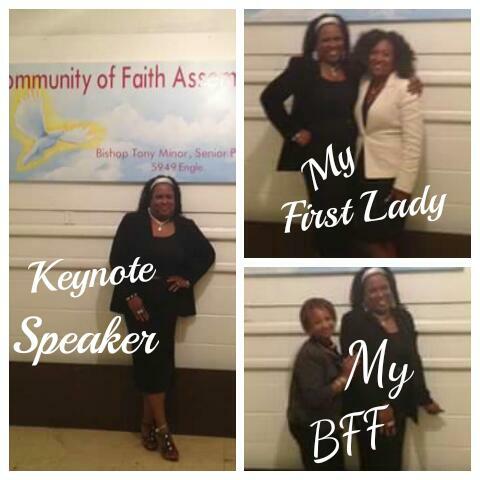 Now, as a seasoned speaker I am one of the most powerful, engaging, and effective speakers in Ohio! I am a deliverer of results! If I'm in a class setting I require an overhead projector proper sound equipment and a podium. If I'm on stage I require proper sound equipment, proper lighting a podium and a video projection screen.